Want to discover how organisational culture, cross-cultural issues and cultural differences shape the success or failure of mergers and acquisitions? In today’s global economy more people are paying attention to the impact of culture on the international business environment. Companies are crossing national borders more often now than ever before as part of growth strategies. As a result they venture into foreign countries...and cultures. One aspect of this global business is the phenomenon of "mergers and acquisitions" (also commonly abbreviated to M&A). 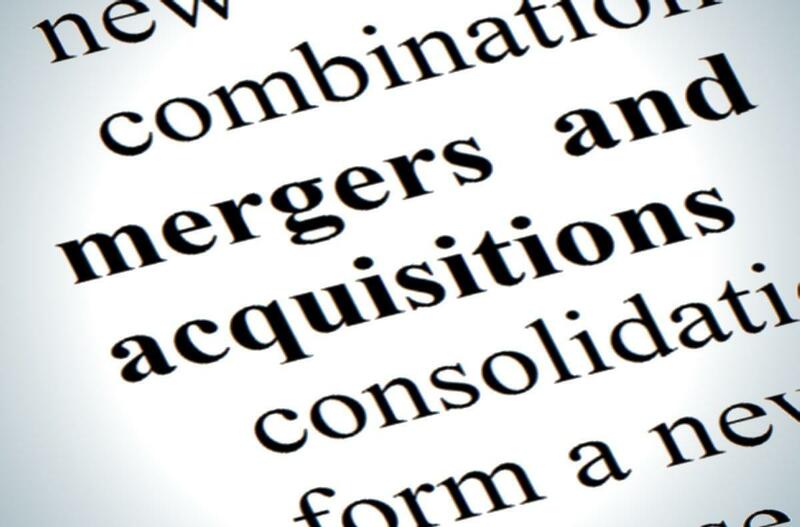 M&A are part of corporate strategies, corporate finances and management dealing through the sale, purchase or combining of different companies to help a business grow rapidly in its sector, location or a new country. Many M&As fail and many also succeed. But what accounts for the differences in these results? Unfortunately there isn’t a clear recipe for success due to a huge amount of factors that come into play. Some analysts emphasise the need for pre-merger preparations (KPMG, 2011). This includes analysing the potential benefits of the companies involved, common grounds, recognising the differences between the companies, thorough planning of the merger, etc. This article aims to illustrate that culture is among the many factors impacting business performance on a global level. In this instance we do it through looking at the success and failure of international mergers and acquisitions; in another article we looked at the retail sector and how cultural differences impacted their business. In other articles and blog posts we look at other areas of business such as negotiation styles, presentations and even relationships. Culture impacts everything in business whether you know or or not. The article will show that an indifferent attitude to culture can be detrimental and that culture is one of the important factors defining the success of the international partnership or its downfall. We have provided seven M&A case studies below. Start with the Daimler-Benz article and at the end of it follow onto the article about Mitsubishi and then onto TATA and so on. The article's conclusion sits at the end of the last article. Each of our case studies will give you a brief background to the companies involved as well as an overview of the cultural issues at play. The Daimler-Benz merger with Chrysler in 1998 is probably the most famous of all international mergers then ended in failure. Cultural differences and organisational culture are both acknowledged to have played their part. It was this failed partnership that first rang the alarm bells that cultural factors just cannot be ignored on a global level, especially not within mergers and acquisitions. Analysts agree that the cultural gap in corporate cultures was one of the main reasons for the Daimler-Chrysler failure. Daimler was a German company which could be described as “conservative, efficient and safe”, while Chrysler was known as “daring, diverse and creating” (Appelbaum, Roberts and Shapiro, 2009:44). If one looks closely, they will find numerous manifestations of these differences in the corporate cultures. Firstly, the attitude to hierarchy was quite different. Daimler was a very hierarchical company with a clear chain of command and respect for authority. Chrysler, on the other cultural hand, favoured a more team-oriented and egalitarian approach. The other cultural difference lay in what the companies valued in terms of their clients. Chrysler valued reliability and achieving the highest levels of quality, while Chrysler was placing its bets on catchy designs and offering their cars for competitive prices. These two factors resulted in conflicting orders and goals in different departments. American and German managers had different values which drove and directed their work. Different departments were heading in opposing directions. Apart from differences in corporate culture there was also an issue of trust. Employees on both sides felt reluctant to work with each other. Mainly this was caused by the realization that the agreed term “merger of the equals" was pretty far from reality. During the initial stages of organisational integration, huge bulks of Chrysler’s key executives either resigned or were replaced by Germans counterparts. Moreover, Daimler was much more imposing and tried to dictate the terms on which the new company should work (Appelbaum, Roberts and Shapiro, 2009:44). Such a situation didn’t inspire trust in Chrysler’s employees and raised some serious communication challenges. All three resulted in communication failures which in turn caused a sharp reduction in productivity. The proof is in the pudding' as we like the say; and the pudding did not taste good. As you can see, share prices plummeted. The sheer difference in the amounts of money paid for Chrysler by Daimler and later by Cerberus Capital makes one really wonder how such a promising merger could fail so dramatically. Usually, it is extremely difficult to pin-point exactly what role culture played in a success or in a failure. However, in the case of Daimler-Chrysler, it would be a safe assumption to say that cultural factor was among the crucial ones which determined the downfall of a new company. One of the lesser known international cooperation blunders is that of the DaimlerChrysler-Mitsubishi alliance in 2000. Right after acquiring Chrysler, the newly merged DaimlerChrysler decided to gain a foothold in Asia as well. They saw Mitsubishi Motors as the golden ticket. The outcome, however, wasn’t that successful. Unlike in DaimlerChrysler example previously, the main difference here lay not in the corporate or organisational culture but more in the national culture, i.e. Japanese culture vs. German culture. In this case Daimler failed to acknowledge any local practices and principles of Japan business culture. In Japanese culture, trust and attention to others’ feelings are essential. This means that Japanese business people value personal relationships more than dry facts. What is important is how you value your client and how you treat him. This differs greatly with a strictly fact-based and pragmatic approach of the German counterpart. Not paying any attention to the concept of "localization", Daimler appointed German managers who immediately started giving orders as if they were in Germany. As a result, Japanese subordinates felt extremely reluctant to take orders from them (Froese and Goeritz, 2007: 98), which in turn had a negative impact on overall efficiency. Moreover, most Germans were seen as guests which exacerbated the situation since guests usually don’t have authority in Japan and on top of that it's hard to be "rude" to a guest. Cross-department communication was very weak as well. Apart from the R&D department, communication mechanisms weren’t installed properly and a chain of command was not clearly defined (Froese and Goeritz, 2007: 101). An example to illustrate the above mentioned is in order. A special task-group was established in order to find a way towards effective and smooth integration. The group was working hard for quite some time. They even produced a report with recommendations on how to achieve the given goal. However, nobody ordered or took any steps to implement those changes (Froese and Goeritz, 2007: 102). All of this questions the very purpose of establishing new departments if all their work isn’t used. The last cultural difference which will be mentioned here is the conflict between cultures that value long-term orientation over short-term orientation and vice-versa. One of the founders of the intercultural theoretical framework, Professor Hofstede, used this difference as one of the key dimensions of culture. Generally speaking, countries in the West tend to be more short-term goal oriented while the countries of the East strive for more long-term goal orientation. In practice it means that the financial difficulties which Mitsubishi Motors experienced were perceived quite differently by the by two parties involved in the alliance. DaimlerChrysler after some time started feeling reluctant to make any further investments into Mitsubishi. They didn’t see any short-time profits which eventually led to “pulling the plug” on their Japanese partner. Mitsubishi on the other hand, wasn’t really concerned with the losses. They were more long-term oriented. They perceived the difficulties to be an obstacle to overcome, but not as a reason to dismantle the alliance. That is why, when DaimlerChrysler announced, that it refused to make any further investments, that the little shreds of trust dissapeared. The joint venture didn’t work as intended because of the lack of consideration given to cultural factors. The inability to establish proper communication, build trust and recognise the goals of one’s counterpart played a significant role in the outcome of the cooperation. Moreover, just as in the DaimlerChrysler merger, a German company was imposing its own terms on their partners. Once again this “bargaining in” and “do-it-our-way” attitude proved incapable of delivering results. Mitsubishi’s profit and losses between 2000 and 2004. The combination of poor financial performance and the eventual ending of the deal stand as proof for another of Damiler’s failures to integrate with an international partner. And once more, cultural factors contributed to bringing this result about. TATA Jaguar LandRoverIn 2008, TATA finalised the deal and acquired Jaguar Land Rover (JLR). However, the outcome was quite different from the previous case studies which ended in failure. This one is a success story. One can attribute the difference in the outcomes to the difference in approaches to the meger, acquisition and integration process. TATA employed directly opposite methods to Daimler. The essence of this method lay in respecting the existing culture rather than imposing a foreign culture. At the start of the process the Managing Director openly stated that “change of ownership has little to do with the changing of culture”. This had several consequences on TATA’s management style. Firstly, TATA, in contrast with Daimler, decided to leave the existing management structure intact and leave the national British managers. There wasn’t any attempt to impose Indian managers on JLR. All the key personnel retained their positions. Secondly, TATA didn’t just leave the current managers on their own. TATA managed to motivate them through constantly challenging them and working with them. In other words, help was offered only when it was needed and existing practices remained in place, but at the same time managers couldn’t afford to be idle because they had goals to reach and plans to implement. Thirdly, unlike in the DaimlerChrysler and Mitsubishi alliance, TATA managed to inspire trust in JLR. First of all, the fact that most of JLR’s personnel were left on their positions showed that TATA trusts JLR, and believed that it is capable of solving their problems. Moreover, more than once in interviews the Managing Director stated that “it is TATA’s responsibility” to take care of JLR and that “TATA won’t shy away from investments, if it is required”. Such clear statements of loyalty contributed positively on the cooperation between the companies. Finally, TATA kept an open-mind and never hesitated to listen to feedback from subordinates. TATA’s top level officials often make trips to their factories and dealerships outside India and collect feedback from local employees. These opinions are being used in the developing company’s strategy. Such results clearly show the stark difference in the outcomes of cases like that of Daimler and those like the TATA-JLR case. As previously stated, there is no method to establish the extent of culture’s influence on success or failure, however in this case study, where the other culture was respected, trust was inspired and effective communication took place, certainly provides food for thought. After the collapse of Lehman Brothers there were a number of companies eager to acquire parts of it. One of them was Nomura who wanted Lehman Brothers' Asian branches. The project had a lot of potential for both sides. Key players from Lehman Brothers could retain jobs and work in one of the biggest Asian financial companies. Nomura, on the other hand would have another shot in fulfilling their dream of going global. However, this was not meant to be. One can argue that there were the a number of reasons for this failure that took place on two different levels: macrolevel and microlevel. The first set of differences (macrolevel) lie in the differences of corporate cultures and corporate values. Lehmanites were accustomed to a very aggressive, risk-taking and quick decision-making way of conducting business including a stress on team play. Nomura, on the other hand, is really hierarchical, conservative and preferred moderate constant incomes rather than momentous enormous ones (Soon Young Choi, 2011: 26). As for values, one example is in order. Attitudes to clients were quite different between Lehman and Nomura. Lehman Brothers were prioritising short-term incomes over long-term relations (another example of long-term thinking vs. short-term thinking). Nomura, on the contrary, preferred to work with old and reliable clients rather than chasing risky but potentially beneficial deal. Another macro issue was that of trust. For whatever reason, Nomura provided Lehmanites with “shadows”, who were constantly making notes on their performance. Even the top-level executives were constantly followed. Apart from the understandable irritation, this raised suspicions that Nomura didn’t really trust their newly acquired human assets. Microlevel problems were abundant as well. The most surprising and the most vivid example was the treatment of women by Lehman Brothers. Soon after the acquisition of Lehman Brothers, Nomura launched a series of trainings to smooth the integration process. A potentially good idea took a rather peculiar form. Women and men were separated. Women were instructed how to wear their hair, what dress code they should adhere to, even how to serve tea! Moreover, there were a couple of instances when female employees weren’t allowed to take part in a meeting because of “strict door policy”. Such stark cultural differences and a clear imposition of Nomura’s culture on ex-Lehman Brothers' employees had horrendous results. In first three months the losses were estimated to be about $591 million. In the very beginning Nomura stated that there were actually two goals of this acquisition: establishing footholds outside Japan and employing and holding the key big figures from Lehman Brothers. Let’s now try to compare the goals and the results. Estimated losses in 2008 and first quarter of 2009 were about ¥8,700 billion (Soon Young Choi, 2011: 33). After that, Nomura started generating profits. However, this amount was of no significance when compared to Nomura’s competitors. Below are the investment banking profits of Nomura and its competitors (first quarter of 2009). As for retaining employees, the long series of defections and retirements ended with the defection of Jasjit “Jesse” Bhattal in January 2012. Throughout the partnership other “heavy-weights” decided to leave including Alexis de Rosnay (2008), Brian O’Connor (May 2009), Jane Wang (2010), Thomas Siegmund (March 2010), Colin Banfield (March 2010), Sigurbjorn “Siggi” Thorkelsson (March 2010), Adrian Mee (April 2010), Glenn H. Schiffman (March 2011), Rachid Bouzouba (March 2011), Philip Lynch (July 2012) and Tarun Jotwani (January 2012) . A combination of financial difficulties, which cast a dark shadow on Nomura’s ambitions, and mass defection of Lehmanites provides grounds to conclude that this partnership hasn’t yielded the anticipated dividends. The enormous gap in corporate culture and values and the feeling of “suffocation” which eventually caused defections played its role in the downfall of once perspective venture. BNP Paribas has extensive experience in working with other companies, with people from different countries and in expanding their operations internationally. One such expansion was the acquisition of Fortis. Far from failing, the merger was an amazing cross-cultural merger success that can today be used as a benchmark for integration best practice. First reason for the success of this merger is that BNP Paribas lay enormous emphasis on cross cultural awareness; it is even included in the policy of the company. BNP Paribas was itself a merger of two banks: Banque Nationale de Paris and Paribas. The experience of that merger had a tremendous impact on a corporate values and culture of newly emerged financial company. Cultural diversity and respect for cultural differences became keynotes of BNP Paribas’s way of doing business. As the company grew and expanded to other countries the commitment towards equal opportunities and accommodation of employees from different cultural backgrounds grew and grew stronger. Today, in the “Corporate Culture” section of the BNP Paribas’s website you can find the “Diversity section”, where BNP Paribas not just states its position on the subject, but enlists a number of concrete steps in upholding this commitment. These steps include Professional Training to Fight against Stereotypes, Favouring Professional Equality between Women and Men and A People with Disabilities Policy to Promote Employment and Integration etc. Such an accommodative approach mainly pre-determined the attitude towards the acquisition. In the statement of BNP Paribas on the acquisition of Fortis it was stated: “This partnership culture, founded on openness to third parties and the pooling of best practices, is a veritable “trademark” of BNP…”. This was the general idea while all the integration processes were performed accordingly . It is worth mentioning here, that in spite of the fact that all the employees are constantly encouraged to keep an open mind and to be sensitive to other cultures, BNP Paribas conducted a number of cultural awareness trainings on how to work with people from Belgium and Luxemburg. The results of the acquisition are impressive. Swiftly, BNP Paribas acquired secured footholds in Belgium and in Luxemburg. The new venture is constantly generating profits. Only in the first half of 2012 the net income before discontinued operations was EUR 635 million . Another indirect factor, which can be interpreted as success, was that both in 2011 and 2012 BNP Paribas Fortis became Bank of the Year. Such high results shows that BNP Paribas is probably one of the most experienced in terms of managing cross cultural teams and of intercultural communication. If, for us it is hard to link culture to success, the people from BNP Paribas are convinced of it: the combination cultural awareness, respect to others and raking the best practices from everywhere “does much to explain its success”. Now, let us turn to an example from heavy industry in terms of international mergers and acquisitions. In 1999 British Steel and Dutch Royal Hoogovens decided to merge. The result was the Corus Group. The prospects for the venture were promising. Corus group was estimated to become the “world’s fifth biggest steelmaker at the time”. However, the reality was slightly different. The first cultural mismatch is quite similar to a couple of the other case-studies which already have covered – differences in management practices. The Dutch model of management was based on consensus and the interests of both parties (namely employer and employee). However, the Anglo-Saxon management model shifted the balance to the shareholders. At first it caused frustration among the workers which eventually lead to strikes. Moreover, these strikes escalated into “wide scale labour unrest” . The second issue was the strategy behind the integration of the two companies. Corus Group favoured a decentralised approach to the problem. In spite of the fact that the general idea was to leave the autonomy of the companies intact, the result was quite dismal. The flaw lay in the lack of communication and lack of understanding between the companies. The disruption in organisation, unclear chain of command and lack of cooperation between the two branches of the Corus Group curbed its own efficiency. The third issue is partly caused by the second one. The vacuum of leadership, which was caused by an unclear chain of command, just couldn’t remain empty for long. However, the result was not the emergence of a strong leader, but a power struggle. This resulted in constant differences in instructions and had negative impact on communication. All three factors cumulatively affected the morale of the workforce which was constantly deteriorating. The result of this cultural mis-match is clearly described in the market valuations of the Corus Group. severe lack of communication between departments had branches can be the downfall of the joint venture. A successful example of cultural competence from the heavy industries is that of the cooperation in joint venture form between the Russian company Lukoil and their American partners ConocoPhillips. Cultural differences, rather then being a reactive after-thoughts, were addressed very early allowing for smoother integration and clearer communication between the parties. Their story is quite interesting. ConocoPhillips, after this cooperation came about, clearly recognised and respected cultural differences that existed. Being proactive about culture, the company even came up with its own guide to working in Russia. A chapter on cultural differences takes a significant part of the report (8/31 pages). They pointed out several gaps between the cultures which had to be taken into account while working in Russia such as fatalism, employment status, decision making, teamwork, individualism and generation gap (Legler, Osborn and Whitehorn 2008:22-28). This allowed their employees to feel awareness about their colleagues in Russia, broke down barriers and got people thinking about bridging differences. One of the starkest differences lay in individualism. ConocoPhillips noticed that while Americans place great value on individuality and arenever afraid of showing it (Legler, Osborn and Whitehorn 2008:26), Russians have a totally different approach to individuality. Russians prefer blending into the crowd rather than separating themselves from it (Legler, Osborn and Whitehorn 2008:26). The second difference worth mentioning here is the decision making progress. Russians prefer making decisions based on an enormous amount of data and only after a thorough analysis (Legler, Osborn and Whitehorn 2008:24). Americans, on the other hand, are more inclined to risk taking and consider the thoroughness of their Russian counterparts redundant. Recognising these differences, which are very subtle, but extremely important and being aware of these differences helped this venture to become profitable for both parties. As we can see, the results were quite positive. During the period of partnership the net profits of companies soared. Success resulted because culture was taken into account and was properly analysed. Conclusions - Does Culture impact Business? The aim of the article was to show that culture plays a role in determining the success or failure of an international partnership. It is hard to say, to what extent this influence determines the outcomes, however, there is definitely a positive correlation between cultural awareness and success/failure. All of these things can seem obvious, but the main problem is that we are so accustomed to our ways means, thinking, ideas and perceptions that we forget about "the other". In other words, culture will affect any international venture, whether is a merger, a business meeting, a presentation of a sales pitch. It is up to the players involved to determine whether culture can help you win or lose.